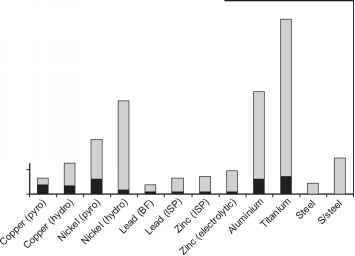 Figure 8.4 Gross energy requirement (GER) for the production of various primary metals (Norgate et al. 2007). processing and metal extraction/refining stages.5 For most metals with the typical Australian ore grades used in the LCAs, the metal extraction and refining stages (particularly the former) make the greater contribution to the GER. • Water is an efficient (low energy, low cost) way of transporting particles within and between processes, mixing particles, and supplying reactants to the site of a reaction. • Water is a medium that can provide a suitable vehicle for the selective action of a distributed force field (e.g., gravity or centrifugal force). • Water is an essential chemical ingredient in some processes. 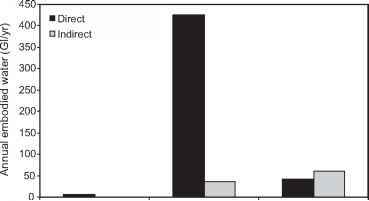 Based on electricity generated from black coal (35% efficiency). Figure 8.5 Embodied water for the production of various primary metals. process, primarily from electricity generation) contributions. Because of the high value for gold (252,000 l/kg gold), and to a lesser extent nickel (377 l/kg nickel, hydrometallurgical route), compared to the other metals, the values for these two metals are not plotted in Figure 8.5. 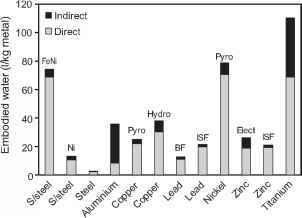 The embodied water results in Figure 8.5 were used in conjunction with Australian production data for the various metals to give the annual embodied water results for metal production in Australia for all the metals combined, broken down into the three processing stages (Figure 8.6). 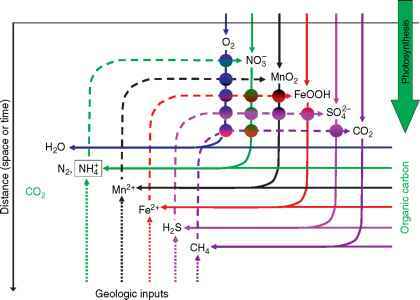 Figure 8.6 clearly shows that the mineral processing stage makes the greatest contribution to the embodied water for metal production. Figure 8.6 Contribution of processing stages to embodied water for metal production. • A decline in ore grades will increase energy requirements. • Smaller metal seams and higher overburden layers will increase energy requirements. • Ores with higher chemical energy will increase energy for metal extraction. • Remote deposits will require more transportation energy. • Improvement of technology will decrease energy requirements. The focus here is on the increase in energy requirements due to the anticipated fall in ore grades in the future.